Purchasing this item will earn you 1686 reward points (Reward Points Rs. 168.60) ! Purchasing this item will earn you 1686 Rewards points (Rs. 168.60) ! The Crush 12 is the smallest of the full-format Crush models designed for guitarists with a no-nonsense attitude to quality analogue tone. This single channel combo features a powerful 3 band EQ and dedicated Overdrive control for tones ranging from crisp and clean through to vintage Orange crunch. This is my first amp, and I'm really happy to have it. Sounds amazing! Beats all other amps of similar price. The Orange Music Electronic Company was founded in 1968 in London by musician and electronics designer Clifford Cooper. 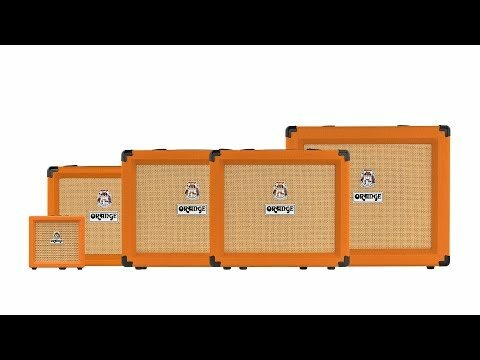 Notable for their distinctive sound and bright orange covering, Orange amps have been chosen by artist from Jimmy Page (Led Zeppelin) to Weezer and were used almost exclusively by Noel Gallagher on the early albums of Oasis. If you need that British or Britpop tone, you need to buy Orange. If you look for Orange Amps online you will find a full range of amplifiers for bass guitars, along with speaker cabs and combo amps. 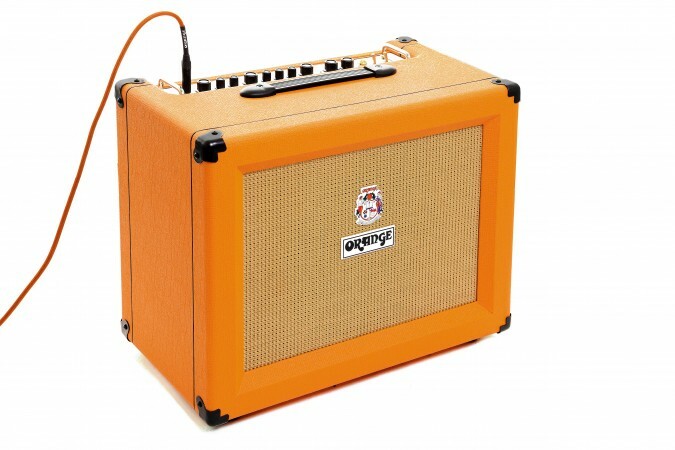 As a company with a long and proud history, Orange are considered to be one of the premier guitar amp manufacturers in the world. 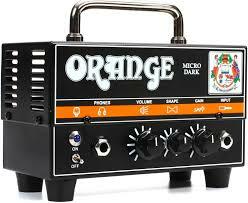 Musikshack are authorised dealers of Orange amps. 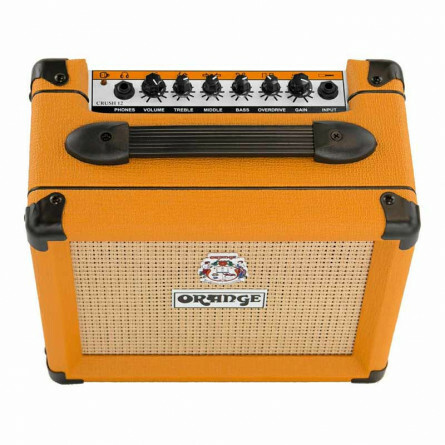 To buy Orange guitar amplifiers online, browse our site to find everything you need – the best Orange Amps India has to offer. As one of the most influential brands in the world of rock’n’roll, Orange has managed to maintain their original idea and sound for almost 50 years. What makes them so special? How do they compare to Marshall, Vox, and other amp goliaths? It was 1968 when the first Orange amps hit London. Mr. Clifford Cooper, the founder of the company, started out with just £300 which he borrowed from his father. His idea was to make amps way different than the ones that were popular at the time. Nowadays, building a company from practically scratch would be a crazy idea. Luckily, the sixties were less harsh on innovators, and with a lot of hard work and enthusiasm, Mr. Cooper managed to make a breakthrough. Both the name and the color of choice were purely accidental. Orange vinyl was the only one Mr. Cooper managed to get at the time. Little did he know that his choice, or better put, the lack of, was going to make his amps so unique and famous. Soon, the word spread, and with the fact that the amps not only looked groovy but sounded really good, big bands started using them. One by one, bands like Fleetwood Mac got ahold of these orange bad boys and gave Mr. Cooper a push in the right direction. 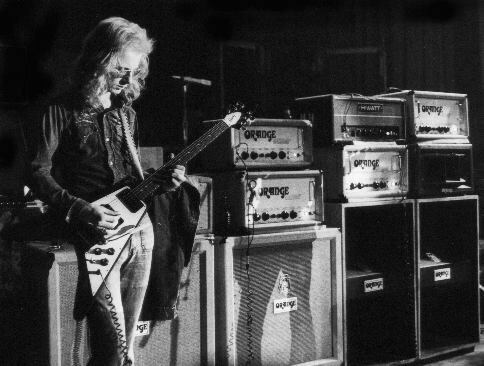 Artists like Black Sabbath, Led Zeppelin, and Stevie Wonder proudly presented Orange amps on stage and helped associate their sound with rock’n’roll as well as metal. The now well-known combination of Les Paul guitars and Orange amps was exactly what established Orange Amps in the manner we know them today. With a slight decline in popularity, the Eighties were somewhat of a tough time for Orange amps. All the glory they had in the previous decade was put aside. Whether it’s because of new emerging genres which flooded the music scene, or just the need for something new, it wasn’t an easy period. Luckily, the story didn’t end here. A big comeback of these brightly colored beasts was made possible by Noel Gallagher of Oasis. 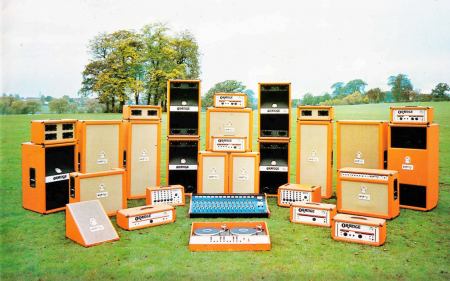 On their 1997 album ‘Be Here Now’ as well as the following world tour, it was Orange amps that were used to not only shake the audiences worldwide, but mark the great return of the once champions in the world of guitar amps. The company followed up by releasing their most popular series to this day, the AD, Crush, and Rockerverb with the start of the 21st century. The triumphal return was as big as the appearance of the amps itself. The brand name stuck as not only reliable but great sounding and appealing to both amateurs and professionals. Musicians realized that you didn’t have to sacrifice durability in order to get great, old school sound anymore. You just had to get an Orange amp. After the much-needed boost since the eighties, Orange Amps started to manufacture products other than just guitar amps. Besides guitar amp combos, heads and speaker cabinets, amazing bass amps started to see the light of day. 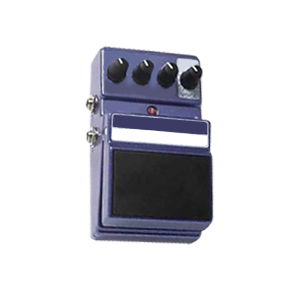 There are even a couple of effects pedals you can get, either to complement the raw sound of Orange amps or to add that flavor in combination with other amps. But what makes them so special? How did a company that started with only a £300 budget manage to live up to the names such as Marshall, Fender, and Vox? Besides the unique color which the company used through all of their products, the rest of the design is unlike any other. Although the insides, being tubes or more modern electronics, evolved, the exterior always gave off an old- school mad scientist industrial feel. Metal boxes with sharp edges and heavy- duty looking handles on top made Orange amps noticeable amongst the relatively bland- looking black boxes on stage. Even the print above the tone control knobs was different. A bit hard to decipher at first, the icons showed a visual representation of what the pots corresponded to, but in a funky, almost comedic way. It’s exactly what some bands out there were looking for. Just take a look at all the Stoner/ Doom and Psychedelic Rock bands using these amps. Whether it’s a tube or solid state amp you’re looking for, if raw and powerful sound is your thing, Orange amps have got it. 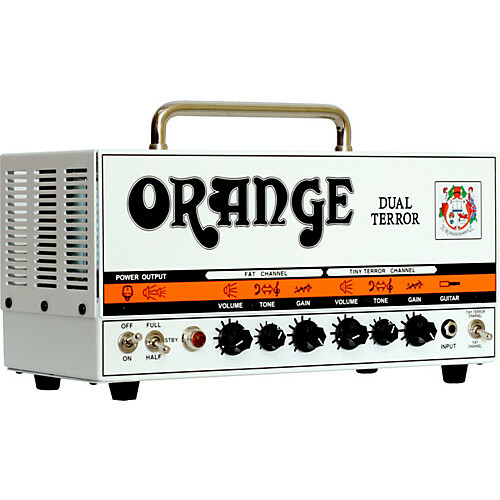 No article about Orange Amps would be complete without at least mentioning the Tiny Terror. However, we figured that you’ve already read and heard enough about it, so let’s see the other models many musicians consider as the best ones. The Micro Dark head is a new, updated version of the popular Micro Terror. Featuring a high- gain preamp with 12AX7 valve, it boasts a greasy valve crunch, authentic for Orange Amps. Though it is a 20W amp head, you would be surprised with the power it’s capable of delivering. It especially shines when combined with a PPC108 cabinet. As a great solution for anyone looking for an old- school solid state amp for gigs and practice, the Crush CR60 is capable of delivering balanced yet crispy tone. With a sound very similar to a valve amp, but with all the perks of solid state models, the Crush CR60 is a great example of Orange amps excelling not just in the world of vacuum tube amps! And lastly, the Dual Terror. Yup, it’s probably twice as good as the original Tiny Terror. A fat and tiny terror channel have their own dedicated knobs, and the amp offers an option of using either 17 or 7W, making it versatile enough for both gigs and home practicing. That pretty much wraps up the Orange Amps story. From an idea in the sixties to a modern giant in the world of amps, this company doesn’t fail in manufacturing some of the best amps you can get. Old school, raw power, and crunching overdrive are what Orange amps are all about! Amplifiers come in all shapes and sizes, but here, we will be talking mainly about combination amps for guitar, bass, and other instruments, including vocals. When it comes to playing music, there are two types of amps you really only need to be concerned with: combo amps, and heads and cabinets. A combo amp is just that, a combination of an amplifier and a cabinet, which is essentially just a speaker. Amplification in general is a complex topic, but here, all you need to know is that the main purpose of an amplifier is to take a low-volume audio signal and turn it into a louder audio signal. Many musicians have small practice amps at home and have larger amps for performance use. Again, if the venue is very small, you might even be able to use your practice amp if you’re able to mic it into the venue’s PA system. For example, an acoustic-electric guitar set at a café. Anything between 10 to 30 watts is more than enough to practice at home and play small to medium gigs. 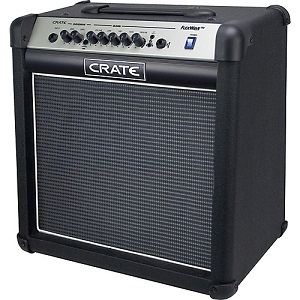 The Crate FLEX 15w Combo Amp is an inexpensive amp that’s useful for many different sized playing environments. Light enough to carry with it’s handle, but the sound is far from light. 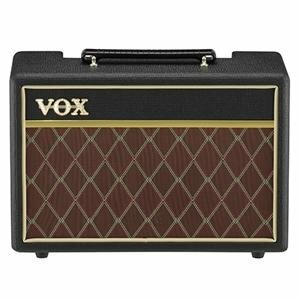 For simple home practice, the VOX Pathfinder 10 Guitar Amplispeaker is a 10-watt amp, loud enough for recording or home practice, and has that warm British sound. The old school exterior matches it’s timelessness. You’ll want either a combo amp with a higher wattage, maybe in the 100w-200w range, or buy your cabinet and amp head separately. Buying them separately, instead of buying a combo, enables you to mix and match your set for ultimate personalization. But unless you plan on playing big clubs, a combo amp is really all you need, especially if you can get a mic up to it. 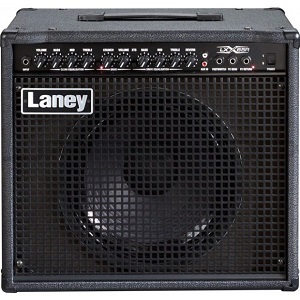 The Laney LX65R is a great combo amp for the seasoned musician, its 65 watts enough to play even mid-sized gigs. There’s an auxiliary input in the front, too, if you just feel like using it to play music from your iPod or CD player. A reverb knob lays on the front and it has two sets of EQ knobs, one set for clean and another set just for distortion. The Fender Mustang III is a beast of an amp. Boasting 100 watts, no gig is too big for this monster combo. 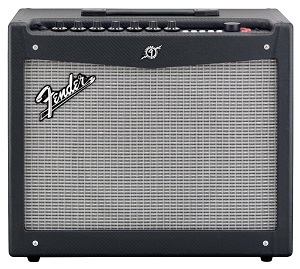 Fender’s Mustang series of amps come complete with USB connectivity and Fender Fuse software, which allows you to change your guitar sound right on your computer. And don’t forget those 37 different effects that you select on a digital readout on the top of the rig. Just like headphones, some cabinets come closed-back or open-back. Bass amps will be closed-back to give a more solid, focused sound, but most smaller combo non-bass guitar amps will be open-back, although really it’s more half-open than fully open. It fills the room better with sound since a bit of it emits from the back. Most amps will have a simple switch or button that will toggle between a clean sound and a distorted sound. With this, you’ll have multiple knobs to control the “overdrive,” as many amps list it as. You might want to keep it clean and use your own distortion pedal if you want more personalization, or perhaps you’ll use your whole own intricate pedalboard setup. Amps will also have a knob labeled “gain” or “drive.” This is the input to the preamp, which slowly starts turning distorted the higher you go. Think of it as a gradient between clean and distortion. If the gain is at 10, and the volume as at 1, you can play extremely distorted while still being very quiet, a useful tool if maybe you’re at home and can’t play very loud, but still prefer your crunchy distortion as opposed to playing clean. The “gain” or “drive”, however, has no change on the volume. There is a separate knob labeled “volume,” and this is the final strength of the outputted audio signal. Crank up the gain and the volume and then you get loud crunchy distortion. When the amp is set to clean, the gain knob’s influence is much less than when it is set to the distortion setting. Amps come with a variety of knobs and switches on the front (and sometimes the top) that effect the sound and that includes the clean or distortion switch. EQ knobs come on all amps, usually 3 in total, one each for the low-end, the mid-range, and the high-range frequencies. For home practice, consider an amp with a headphone input, so you can play without sound omitting through the main speaker. A lot of amps also have external speaker outputs, so you can hook up your amp to an even bigger speaker system. Some amps are even small enough to fit in the palm of your hand! 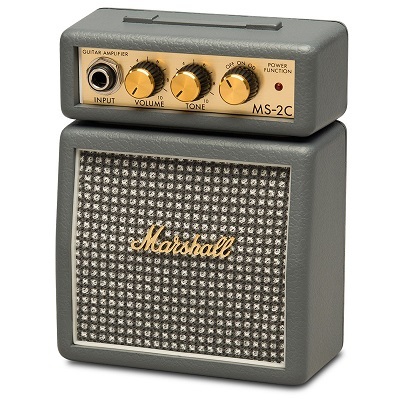 Consider the Marshall MS 2C Micro. While only 1 watt, it’s perfect to bring to the park, a backyard get-together, or in a hotel if you’re traveling, but still want to rock out. The main distinction of an amp designed for a bass guitar is that it’s a closed-back design and the insides are built to suit better the lower frequencies a bass guitar produces. The Laney RB2 Richter is 30 watts and can tilt back as well as sit flat. 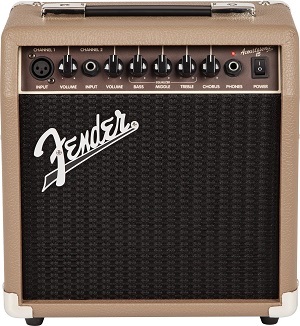 For other instruments like keyboards, vocals, or any other instrument meant to play clean and can plug in, a clean amp like the Fender Acoustasonic amp is a great choice, being that it’s designed for clean performance. It’s perfect for acoustic-electric guitars and other instruments where a clean sound is preferred over a distorted one. So you got an electric guitar, cool! Now you gotta find something to make that thing talk, so you start watching videos like- Best metal amps /Top rock amps or best beginners guitar amps. And then you will find 100 options which will eventually confuse you. So you got an electric guitar, cool! Now you gotta find something to make that thing talk, so you start watching videos like- Best metal amps /Top rock amps or best beginners guitar amps. And then you will find 100 options which will eventually confuse you. Long story short, you first need to know what you are actually looking for, to find precise amp that you wanna go for. Let first help you to understand the concept of amp that will suit your needs. CAUTION- All the clarification mentioned below is just the tip of ice berg. Amplifier is an electronic device; engineered and assembled with precise knowledge. That precise knowledge is not discussed here keeping in mind that the reader may not be an engineer. Guitar amplifiers are manufactured in two main forms: a "combo" contains the amplifier and one or more speaker(s) in a single unit. A separate configuration is available as well, with a separate amplifier (the "head") on top of one or more cabinets, each of which contains one or more speakers. Well, here are types: - Vacuum tube (Tube) amplifiers, Solid-state amplifiers, Hybrid amps and modelling amps. Vacuum tubes (called "valves" in British English) were by far the dominant active electronic components in most instrument amps applications until the 1970s, when semiconductors (transistors) started taking over. Summarizing the whole gibberish, tubes represent the vintage technology that powered all electronics during the middle of the 20th century. They deliver great tone in many guitar amps, but require periodic maintenance and tube replacement. Here the conventional thinking is that solid state circuitry can produce better-quality clean power at a much more affordable price. The solid-state technology; a more recent development requires virtually no maintenance. Solid-state amps often get a bad rap for lacking warmth, but their crisp, clean sounds are tough to beat. Many Jazz and metal guys go for solid-state amps since they're hard to overdrive, and these players purely rely on pedals or processor for distortion. Most inexpensive guitar amplifiers are based on semi-conductor (solid-state) circuits, and some designs incorporate tubes in the preamp stage for their subjectively warmer overdrive sound (see Hybrid amplifiers). Solid-state amplifiers are much cheaper to produce and more reliable, and they are usually much lighter than tube amplifiers. Solid-state amplifiers vary in output power, functionality, size, price, and sound quality in a wide range, from practice amplifiers to professional models. Combining the best of each type of amp into one package, these amps use an actual tube in combination with the solid state power section of their amps. Many hybrid amps use a tube in the preamp section and solid state circuitry in the power section to create a tube tone without requiring the use of power tubes. So why do they do it? It’s because they can. Micro processor technology allows the use of digital onboard effects to create numerous different sounds all within the same amplifier. These are known as modelling amplifiers, and they can be programmed with simulated characteristic tones of different existing amplifier models (and speaker cabinets—even microphone placement), or adjusted into your taste. Many amps of this type are also programmable by way of USB connection to a computer. Modelling amps use digital processors to simulate the sound of old-fashioned tube technology. Using software that “models” the sound of tube amplifiers (and cabinets), these amps put the sound of numerous amps in one box. Modelling amps are programmable, and often have built-in digital effects such as delay, chorus, etc. Some include digital or analogue outputs with speaker simulation for going direct into a recording interface or PA system. If you’ve heard guitarists talking about amps, perhaps you’ve heard the terms “head”, “cab”, “combo”, and “chassis”. Often, manufacturers will offer the same amp in multiple configurations to better suit the playing customers. For those of you who are new to the land of guitar gear, those terms refer to different formats for a single amplifier. The first configuration is a head and speaker cabinet. This is two separate wooden boxes: one for the amp chassis and another for the speaker(s). It allows you to mix and match heads and cabs to see which speakers and cabs work for which gigs or recording sessions and it comes in 2 pieces, so of course it has a portability advantage as you can divide the load. The combo amp is a favourite in metro cities, where a player might potentially carry his or her entire rig on a local train or bus to the gig. Having the whole amp movable by one handle is a luxury. Also, lots of players talk about having a “grab-n-go” amp, which would be something easy to grab quickly and head out to a rehearsal or small club gig. 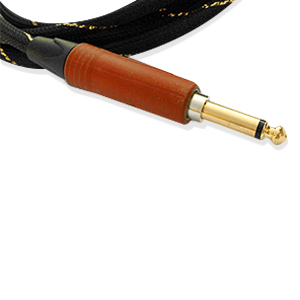 Other benefits to a combo are that it’s normally less expensive than the matching head/cab version and it requires one less cable to carry since the speaker cable is often contained in the chassis itself and a head/cab version would need you to plug in a speaker cable between the head and cab every time you played. Since each version has its own benefits, I’ll leave it up to you to decide which one you most prefer. Does size matter, ‘watts’ it all about? Wattage literally means an amount of electrical power expressed in watts. And meaning of watt is the SI unit of power, equivalent to one joule per second, corresponding to the rate of consumption of energy in an electric circuit where the potential difference is one volt and the current one ampere. In simple words Wattage is a measure of electrical power described most simply as voltage (volts) times current (amps). But what does that mean when it comes to speakers? Despite conventional wisdom, it really isn't a good indicator of how loud a speaker will play. Instead, it's an indicator of how much power a speaker can physically take without distorting or physically breaking (whether that be from fried voice coils, blown speakers, or cooked crossovers; either ways it’s a mess). Each amp is different in how it handles electricity. In 2009, my band took participation in battle of bands in some college in Mumbai. We were absolute beginners back then. I had no processor or effect pedal but we used to play death metal; so basically only distortion effect was needed. I had invested in a good 15 watts amp which had smooth distortion and descent reverb. When our drummer saw me leaving for the gig (which had head count of 100) with that puny amp, he started laughing hard, claiming that my sound engineering fees are drained down the toilet. As we reached the venue, I hooked up my amp with shure sm57 which went to PA system. We rocked hard that evening with my massive wall of distortion. Who is laughing now? Smart eh? That sir, I am. While tone and volume should be your foremost considerations, you should also determine what extra features you really need. Built-in effects are great if you want a no-hassle, all-in-one package, but they may not be as flexible as external effects pedals and processors. An effect loop is useful for effects like digital reverb and delay, but it’s not essential if your effects consist of a few stomp boxes. Line outputs with speaker emulation are helpful for home recording, and external speaker outputs are great for expanding your live rig. Bottom line: don’t pay extra for features you’ll never use. Other additional features you might encounter include use of spring reverbs, which can be very natural sounding, while others use digital reverb. Effects loops jacks allow you to add stomp boxes or rack units after the preamp section of the amp to avoid amplifying any effect noise. Some amps allow you to switch between different preamp channels usually going from a clean tone to a distorted one. Check to see if a footswitch is included. Digital amps often require the purchase of an additional multi-function footswitch to change tones remotely. Many amps are famous for their built-in effects. Tremolo is another effect many amps feature (great for surf guitar.) Modelling amps usually contain multiple built-in digital effects. Learn about the features that make the Line 6 Spider IV Guitar amps to stand out among other amps in the market... It’s heading the market doesn’t mean it is cheap but exceptionally good. Aside from being sturdy, it defines your outputs beautifully and gives value to your electronic guitars. What defines the electric guitarist? His/her guitar tone... his/her amp tone. It’s not about how loud you can get, it’s about what is the exact tone that defines your songs and justifies your taste. Yes, I am talking about tone customization, tone customization with 1 guitar and 1 amp. Sounds difficult? It actually isn’t with Line 6 Spider IV 15watts guitar combo amp. The Line 6 Spider® IV family has the best practice amps in the market. Spider IV amps give you a variety of awesome tones—modelled on some of the most revered amps of all time—that sound great at any volume. When it comes to practice amps, nothing could be better than the 1×8, 15-watt Spider® IV 15 or the 1×12, 30-watt, Spider® IV 30. Don’t just take my word for it, guitarists all over the globe are voting with their money: Over a million Spider amps have been sold! So why are so many guitarists flocking to these portable powerhouses? There are several grounds, starting with tone. Line 6, which perennially presents the best amp modelling, has outfitted the Spider IV 15 with four advanced amp models including a clean, warm jazz-amp sound; a crunchy tone inspired by* a ’68 Marshall® Plexi; a high-gain, harmonic-rich sound that emulates a Mesa/Boogie® Dual Rectifier®; and a super-distorted, head-slamming shredding tone based on a Dual Rectifier® set to the red channel. Spider IV 30 complements those four models with eight extra ones, for a total of 12, providing tones for a extensive range of musical styles from jazz to country to heavy metal, including emulations based on a range of classic Fender® amps, a Hiwatt® Custom 100, and numerous additional teeth-rattling, high-gain amps. As these are digital modelling amplifiers, you can get the same excellent tone whether the amp is on 1 or 10, which makes both the Spider IV 15 perfect for rehearsing and practicing. Both also offer a 1/4-inch headphone output, which allows you to rock the house at 3AM, without disturbing anyone. The output also doubles as a direct out for recording. What’s more, you can plug in your CD or MP3 player through a dedicated 1/8-inch stereo input, letting you jam along with your desired music. However, there are ample of other causes why the Spider IV family is believed to be the best modelling guitar amp line on the market. Spider IV 15 give you a 3-band EQ, a dedicated Drive knob and four switchable channels. You also get remarkable range of Line 6 Smart FX effects models including reverb, tape echo, chorus, tremolo and more. Tempo-based effects can be synced to the song using the tap tempo feature. You even get a helpful built-in tuner. Get an optional Line 6 foot controller (the FBV2™ and FBV Express™ MkII), and you can toggle on and off effects and amp models without taking your hands off your guitar strings. As an supplementary bonus, Spider owners also get entrance to Spider Online, a free, web-based arsenal of lessons, artist-created amp tones and backing tracks. With all those enormous characteristics, possibly the most significant reason that Spider IV 15 has turned out to be the best practice amplifier on the market is price. You acquire all of these vast tones and all these valuable and helpful features for a amazingly reasonable value.